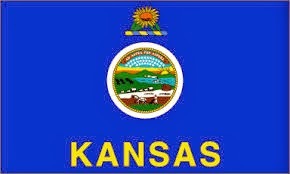 Kansas is the land of John Brown, Carrie Nation, Brown vs. the Topeka Board of Education and Dwight D. Eisenhower. Silent film stars Buster Keaton, Roscoe "Fatty" Arbuckle, Charles "Buddy" Rogers and Louise Brooks were all born in Kansas, as was I Love Lucy co-star Vivian Vance. Hattie McDaniel, the first African-American to win an Oscar, was from Wichita. Although she thought Indian Territory could have only meant Oklahoma, it turned out that the real Little House on the Prairie of Laura Ingalls Wilder's childhood was in southeastern Kansas. The great Gordon Parks once held a door open for me at Wichita State. Truman Capote wrote In Cold Blood about an infamous Kansas murder. William S. Burroughs moved to Lawrence in 1981, and lived there until his death. Little Sis's favorite historical Kansan was born in Atchison. We hope to visit her birthplace this summer. At this moment, we are making headlines for our amazing college basketball (KU, K-State, and my own beloved Shockers) and for political crap I am choosing to ignore today. President Obama's mother and her family were originally from Kansas. We have a few modern celebrities. You might catch Paul Rudd, Jason Sudeikis, or Rob Riggle in the crowd at KU games. Eric Stonestreet is a proud K-State Wildcat. Kirstie Alley has a house - well, two actually - not too far from us here in Wichita. We have some literary connections. Clare Vanderpool, author of the Newbery-winning Moon Over Manifest and Printz honor book Navigating Early, lives here in town. Laura Moriarty lives in Lawrence. Scott Phillips is originally from Wichita, and set his early books in Kansas. Interested in more fun, goofy facts, like state symbols? Go here. 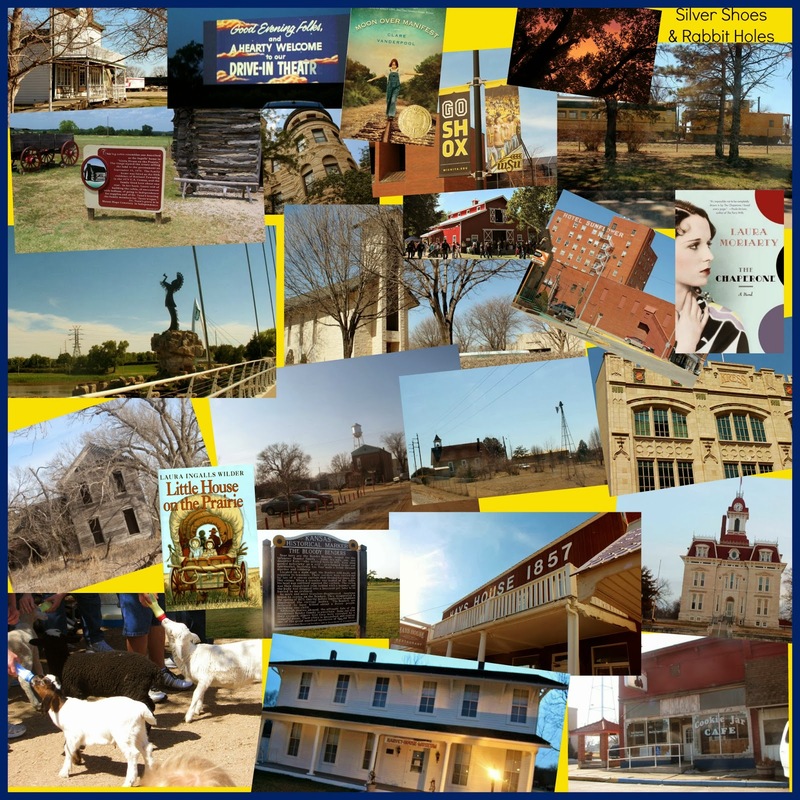 If, by chance, you are a Kansan with kiddos, here are some free Kansas Day activities. Here is our famous state-song-nobody-knows-is-a-state-song, with its original lyrics. "Ad astra per aspera" - To the stars through difficulties. Tomorrow: Back to our regularly scheduled programming. There is no regularly scheduled programming. You probably knew that already. The photo is one of many taken from the "castle" at Coronado Heights, outside Lindsborg. I love the patchwork quilt fields. We really did learn all this stuff about Kansas in grade school. Mr. B grew up in southwest Missouri, and he doesn't remember learning so much Missouri history and facts when he was little. Yay! What a fun way to celebrate. Bravo! 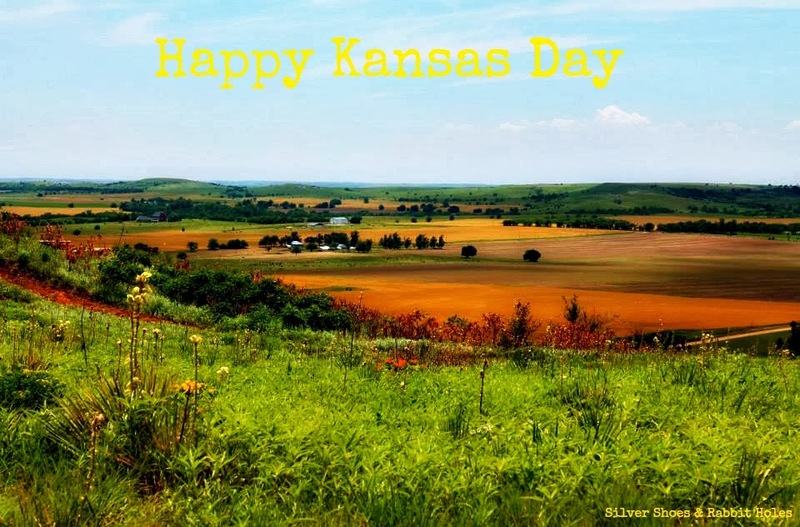 Happy Kansas Day to you :D This is a very informative post and now I wonder about my state's birthday and facts. The first time I heard about Kansas was when I watch the Wizard of Oz movie when I was a kid :) So to me, Kansas was where the tornadoes happened! Wow, that was a very informative post, I've learned some very interesting things here! To me growing up, Kansas was Dorothy's home and I knew nothing else about it. 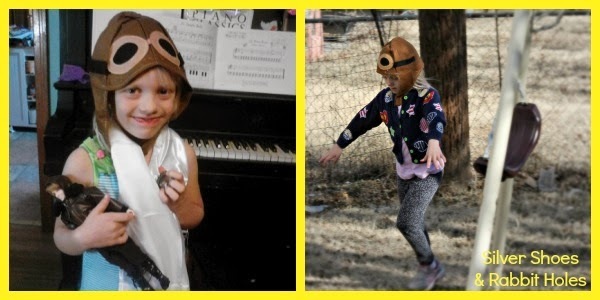 Gotta love little Amelia flying! She loves Amelia so much!